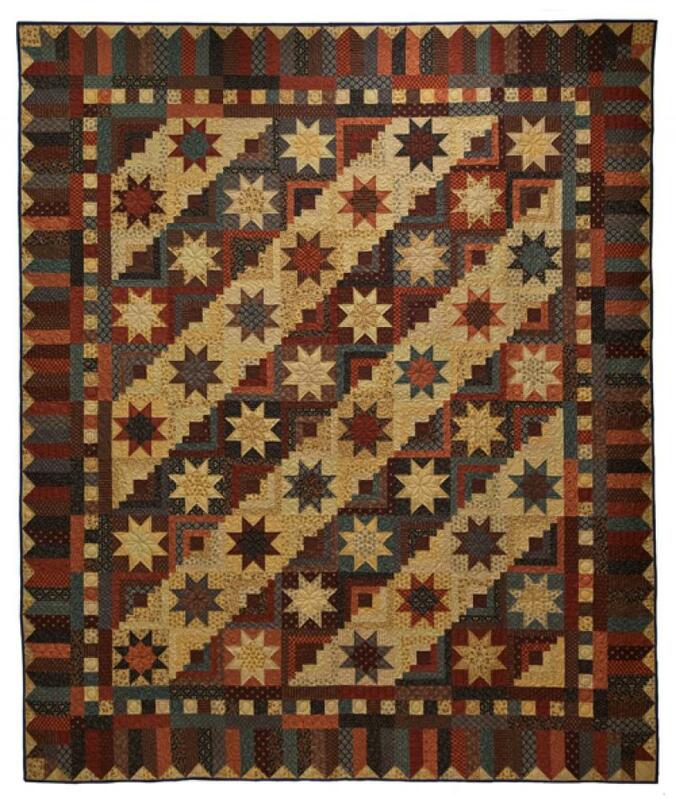 Dark and light stars sparkle in a fun log cabin setting in our Cabin in the Stars quilt. You'll need an assortment of 20 Dark prints for this quilt. Remember that Dark is relative. Your Dark prints could be pastels or brights! They just need to contrast with your Background. Select the Dark prints from 3 or 4 color familiesósome variation in value is fine. You need 5/8 yard each. You'll also need 5/8 yard each of 10 assorted Background prints. Finally, select a solid or solid-like fabric for the centers of the Log Cabin Blocks (1/3 yard).